Contradictory statements have been doing rounds about an F-16 being shot down by the Indian Air Force during an aerial combat with the Pakistani Air Force on February 27 over the Line of Control (LoC). While PAF denies losing any F-16 fighter, IAF asserts its claim with information captured on electronic signatures. After a US magazine contradicted India's claim of having shot down a Pakistani F-16 in the dogfight over the Line of Control (LoC) on February 27, the Indian Air Force (IAF) has restated its case in a statement released on Friday, April 5. "All attempts of Pakistan Air Force (PAF) to attack any targets were thwarted by the IAF. During the aerial engagement that followed, one MIG- 21 Bison of the IAF shot down an F-16 in Nowshera sector," read the statement issued by IAF. The electronic signatures gathered by us indicate that the PAF aircraft was an F-16, the IAF stated. The statement by Indian Air Force comes as a rebuttal to the report published in the US magazine, Foreign Policy on April 4. The Pentagon correspondent of the Foreign Policy magazine, Lara Seligman's report claims that a US count of the PAF F-16 fleet has not found any of the fighters missing. The report came weeks after India had asked the US to take action against Pakistan for violating the terms of sale of F-16 fighter aircraft by having used them in an attack on India. While there was no official approval of the same by the US administration, the claim could make it difficult for India to establish Pakistan's use of F-16s. However, the report does attribute the information to "two senior US defense officials with direct knowledge of the situation". 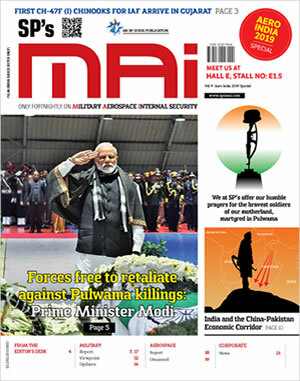 The magazine report also suggests having evidence that Pakistan's F-16s were involved in the aerial combat with the IAF. While Pakistan made conflicting claims regarding the use of F-16, India earlier produced parts of a US-made AMRAAM missile recovered from its territory to substantiate the use of F-16 as the only PAF aircraft that can fire the missile is an F-16. The magazine report also suggests having evidence that Pakistan's F-16s were involved in the aerial combat with the IAF. While Pakistan made conflicting claims regarding the u se of F-16, India produced parts of a US-made AMRAAM missile recovered from its territory to substantiate the use of F-16 as the only PAF aircraft that can fire the missile is an F-16. "After the IAF attack on the terrorist camp at Balakot on the February 26, 2019, PAF attempted a reposte on February 27, 2019. A large force of PAF F-16s, JF 17s and Mirage III/V aircraft were picked up by IAF radars. They were intercepted by IAF Su30-MKI, Mirage-2000 and MiG-21 Bison fighter guided by ground radars and AWACS," said the IAF statement from Friday. If the usage of F-16 by PAF is established for an offensive operation against India, US Administration will be answerable to its Congress, and obligated to take action against Pakistan for violating the terms of sale. The F-16s were sold to Pakistan with the condition of being used only for purposes of counter-terrorism. 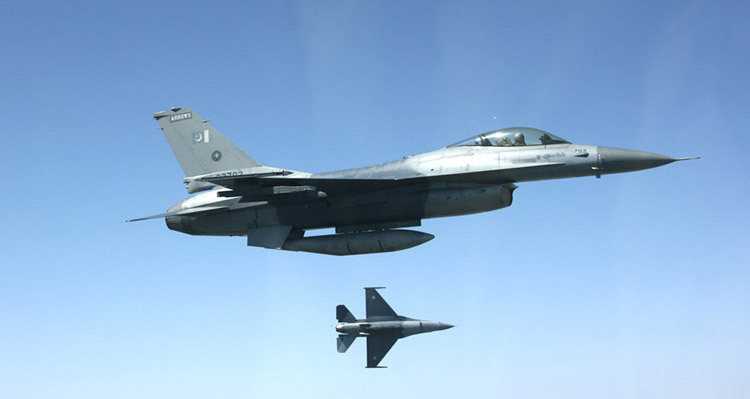 Going by the Foreign Policy report, Pakistan invited the US to physically count its F-16 planes after the incident as part of an end-user agreement signed when the foreign military sale was finalized. While the Pakistan denies losing any F-16 aircraft, the IAF confirms sighting ejections at 2 different places on the day of the aerial battle. "The two sightings were at places separated by at least 8-20 kms. One was an IAF MiG 21 Bison and the other a PAF aircraft," added the IAF's statement.